When your child is sick, there is nothing you won’t do to help them get better. We think of all the obvious things like Doctors, medications, etc. But we often forget the things that impact them daily like bedding, window treatments, and flooring. My daughter was diagnosed with asthma and severe grass allergies last spring. This meant a lot of changes for our family and our home. We changed bedding, got new flooring, and even started her on immunotherapy shots all to help with her health concerns. In all of that I didn’t even think about the shades that were in her windows. In a recent article on by Hunter Douglas, they shared tips on decorating and maintaining a home with your family’s health and well-being in mind. It really got me thinking about how her old blinds could be affecting her health. I wrote to Hunter Douglas asking what they would recommended and they walked me through the process of what would be the best option for her and her circumstances. She now has the Hunter Douglas Honeycomb blinds in her windows and I can tell you that I literally see a difference in her. 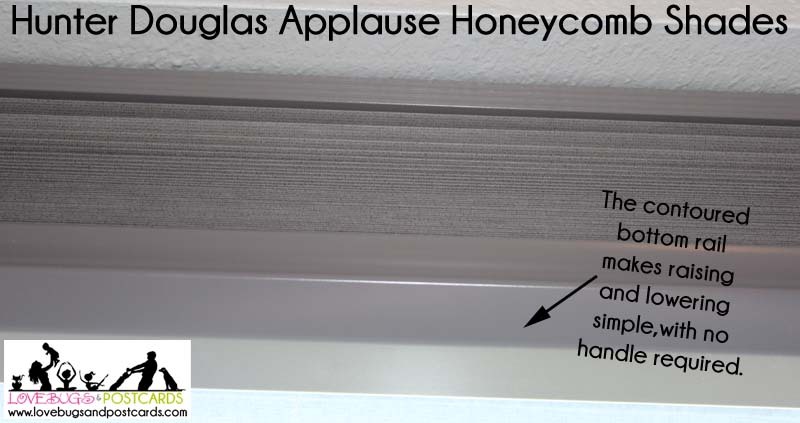 We have the Hunter Douglas Applause Honeycomb Shades with the simple lift in the venue fabric in Brownstone. Now I am going to explain to you why each of those are important. I love how easy it is to lift and lower the blinds. 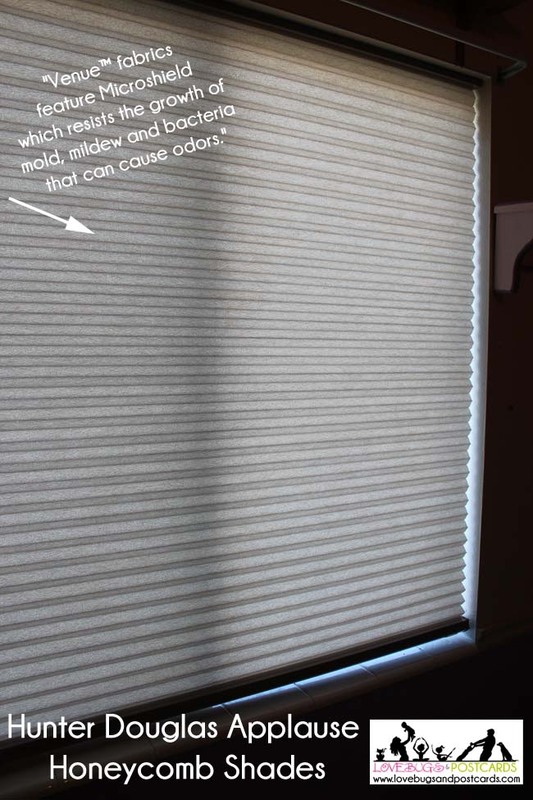 The simple lift system makes it very easy for my kids to life the blinds and there are no cords to distract from how beautiful is looks or to be a hazard to them. I am sure it’s something most people don’t think about, but it’s really gross to try and visualize what is growing on your blinds. I have great ambitions to keep my house clean, but the blinds fall to the bottom unfortunately. I love that the Venue Fabric is The first cellular fabric in the market to offer this protection. Such a great feature! 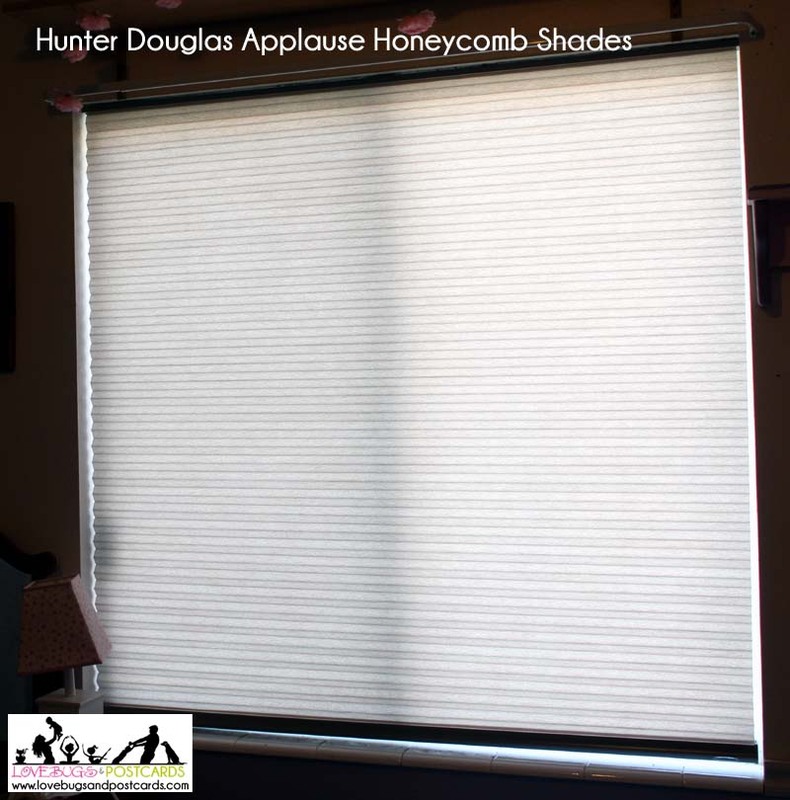 Hunter Douglas shades come in all different styles, colors, and fabrics. They offer everything from Roman Shades to Shutters. You can view the full collection of Hunter Douglas Products here. Overall we are very happy with the new blinds and the difference they have made in our daughter’s room. Not just for her health but also for our home. Its a great win-win. 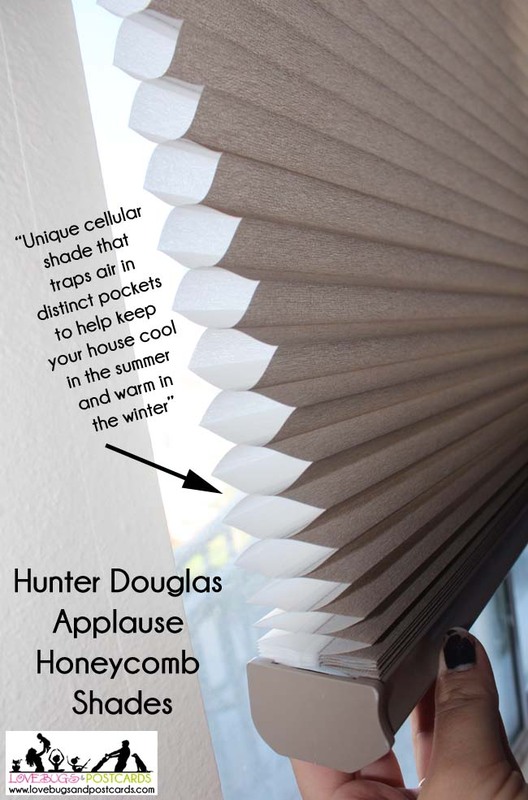 There are many reasons to redo the shades and blinds in your home, but Hunter Douglas can bring your dreams into reality. We received these shades in order to do this review. 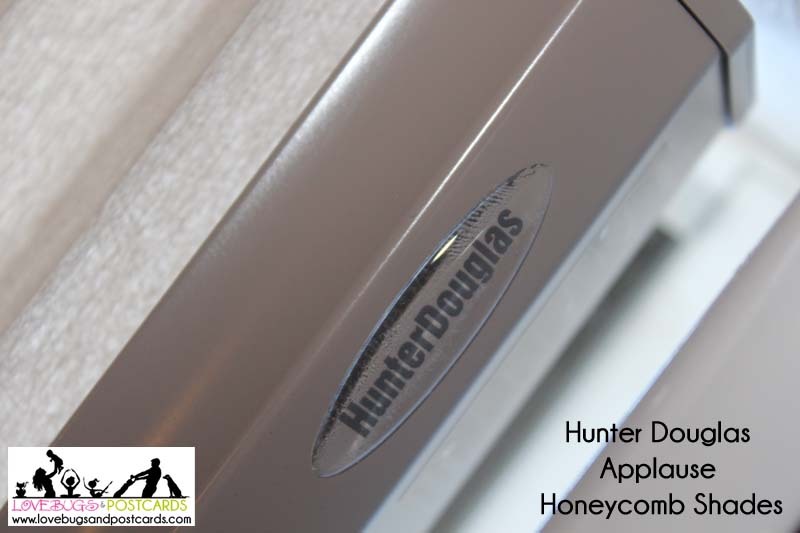 Hunter Douglas did not approve this or tell me what to say. All opinions are 100% my own. We only recommend products or services that we believe will be beneficial to our readers. My Little Pony Equestria Girls: Rainbow Rocks in Theaters! Those shades are great for the home. We’d love them! Hunter Douglas makes great window treatments, don’t they? Those blinds are gorgeous. I really like the amount of light that shines through and they have a great style. I like that too. They let in enough light so that you don’t feel like its night time outside 24/7 but they really block the worst of it to keep the room cool. Such a nice combo. My dad has something similar in his home. They are beautiful and so elegant looking. They do look really elegant. It is amazing how a window treatment can change a whole room. lol. I love how easy they are for the kids to open and close and so much safer without the cords. Those are some really neat shades. And I could use some new ones. My cats try to tear mine apart. My cat does the same thing Mistee. lol. He loves to try and climb into the window and is like a cat in army boot camp navigating the blinds. lol. These make it so much easier to keep him out – or open up just a little for him to be in the window seal. These are some awesome shades indeed. I love that they protect from and mildew. Thanks for sharing. I love that feature. It is so important with her health issues to be as free from that as we can. This is a huge step.